Atlanta apartments are warming up in May with the arrival of yet another Hotlanta summer. Stratford Arms apartment residents and Riverdale apartment dwellers can beat the heat at the city’s amphitheater which kick starts the weekend on Thursday evenings with its After Work Cool Down Music Series. The community comes together to enjoy food and performances by local artists from 6 p.m. – 9 p.m. each Thursday. Beginning Friday, June 6th Riverdale residents will experience “100 days of summertastic fun” on Fun Friday a free community event to celebrate summer with free arts & crafts at the amphitheater from 10 a.m. – 1 p.m. Then on Friday, June 13th the city of Riverdale Cultural Affairs & Leisure Services hosts Friday Night Flicks at the amphitheater. A family friendly movie will start at dark or around 9 p.m. Attendees are invited to bring their own lawn chairs or blankets to watch. More information including any changes due to inclement weather is available on the cultural affairs website. Sticking to the budget you created for living in your amazing Atlanta apartment isn’t always fun, but you can have fun in Atlanta on a tight budget. After you itemize the cost of living at your Atlanta apartment community with rent, utility bills, groceries, car payment… you might find there is less left over for entertainment than you originally thought. Don’t worry! Here are 5 FREE(ish) things to do for residents in metro Atlanta apartments. Entertainment can have great physical, social and financial rewards with little or no investment. Start with an affordable Atlanta apartment from JAMCO Properties, Inc; then help grow your community, your mind and your bank account! Atlanta serves as home and epicenter of cultural diversity in the South – and the United States, for that matter. Encompassing international art and décor in your Atlanta apartment is affordable and easy. You do not need to spend lots of money on Miami Circle in Buckhead to get authentic pieces to decorate your apartment in Atlanta, but it’s a great place to find inspiration. Maplewood Pointe Apartments in Jonesboro, Georgia- a culturally diverse community. Buford Highway hosts some of the most diverse shopping and dining in northeast Atlanta and DeKalb County. Whether you prefer Asian inspired work from Korea, Vietnam, Thailand… or crafts from South and Central America you will find plenty of affordable pieces to fill a spacious Atlanta townhouse or apartment. Many of these items are mass produced but you can find deals on legitimate items too. Many shops in metro Atlanta specialize in fair trade. These specialty shops stock their shelves with fabric, art and handmade goods imported directly from artisans in other countries. Besides putting money in the pockets of true craftspeople, every item is a unique representation of a culture. Bring a piece of history and art into your apartment rental without leaving Atlanta or breaking the bank. Combining modern art with a few antiques is a great way to highlight a culture in your apartment. By incorporating natural elements like wood and stone from a region, you can honor the land as well. Fabric for drapes, upholstery and rugs can be used boldly or in an understated way to pull a diverse look together in your Atlanta apartment. 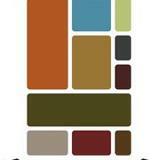 JAMCO Properties, Inc. proudly embraces diversity in our 20 Atlanta apartment communities and the work place. Atlanta, a city of great diversity, celebrates many rich heritages and cultures. Two museums in Atlanta’s West End neighborhood highlight the history and art of African Americans. First, residents can tour the Hammonds House Museum situated in a historic Queen Anne home. Hammonds House hosts events and exhibits concerned with the culture of the African Diaspora. African American family history in Georgia is the theme of the current exhibit running through April 28th. Next, visitors to the Spelman College Museum of Fine Art observe works by and about black women. The art museum is open Tues. – Fri. from 10 a.m. – 4 p.m. and Saturdays, noon – 4 p.m. Right now visitors can experience “Multiple Choice: Perspectives on the Spelman College Collection,” pieces in the permanent collection and recent analysis by students, faculty, staff and others. Works range from paintings and sculptures to prints and textiles. West End was added to the National Register of Historic Places in 1999, 164 years after it was settled. Home run king, Hank Aaron owns the Krispy Kreme location in West End. The neighborhood is just seconds from Cascade Glen Apartments and easily accessible to all of Atlanta. Simplify The devil is in the details. Cut back on what doesn’t mean so much to you, so you can invest in what does. Cut the guest list. If your guest list is 150 try scaling it back to 100. Think about who you will remember 10 years from now when you look over the wedding album. Drop the open bar. Offer a specialty drink that means something and sparkling wine. Most people don’t keep cash anymore, so a cash bar probably is out dated. Set Trends for anything. Remember there are two of you. Tell the story of you as a couple. Don’t get lost in the craziness. 12 – 4 p.m., Sun, Feb 24: The Ultimate Wedding & Event Planning Expo at the Fabulous Fox, currently 50 percent off . 1 – 4 p.m., Sun. March 3: StudioWed Bridal Tea with cake tasting, table design and more for brides, mom and bridesmaids. Get 50 percent off the ticket price with the code “ajcbride.” The discount code is valid through Feb. 24. 12 – 5 p.m. Sun., March 10: Get half-priced tickets to the Georgia Bridal Show which features a range of vendors showing their products and services. The mission of Riverdale’s Department of Cultural Affairs and Leisure Services is to provide residents a means to celebrate diversity in Riverdale by developing cultural initiatives and leisure activities that meet the needs and interests of the community. The department operates the Riverdale Centre in order to reach their goals of improving health, education, and lifestyle. Residents of Riverdale are afforded the opportunity to participate in various classes offered at the Centre during the year. Courses on acting, dancing, kickbox cardio and more are currently running for winter and it’s not too late to register. If you have a special occasion or need coming up, the Riverdale Centre for the Arts, Business & Leisure Services has a space right for you. Be it a banquet hall, dance studio, art studio or entertainment lounge, the Centre has rentals available now. 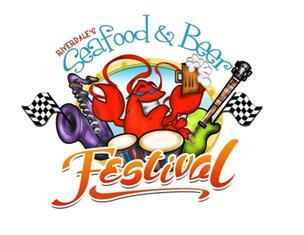 The Seafood and Beer Festival is a popular event held at the Riverdale Centre each year. The festival features a beer garden, live musical entertainment, kids’ fun zone, talent competitions, and a lobster derby. On warm summer nights cool down after work with music performed in the attached open air amphitheatre. Musical guests appear the third Thursday of the month in summer. 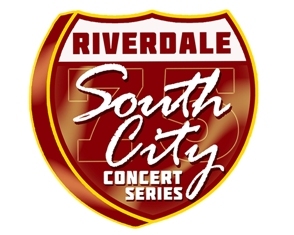 Additional performances are scheduled throughout the summer via the South City Concert Series. Come see why the folks at Emerald Pointe and Stratford Arms Apartments are excited to call Riverdale home.